The Toronto Postcard Club is a non-profit association of over 250 dedicated deltiologists. Toronto, Ontario, Canada is our home base, but we are supported by members from all across Canada, as well as the United States and the U.K. too. 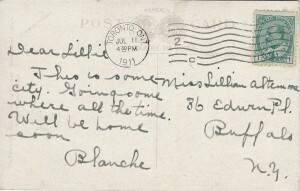 In 1977, ten postcard-collecting enthusiasts established the Toronto Postcard Club. They met once a month in Agincourt (Scarborough) and since then the club’s contribution to deltiology in Canada has been significant. In 2017, the Toronto Postcard Club proudly celebrated its 40th year. In 2019, the Club is hosting its 38th Annual Show and Sale. Several postcard dealers are also TPC members who participate in our ANNUAL SHOW and SALE buying, selling, and trading postcards with members and non-members. Why collect vintage postcards? Because they are fascinating records of history. Initially, people seem to gravitate to vintage postcards that have a connection to their lives; home towns, occupations, genealogy, places visited, and so on. 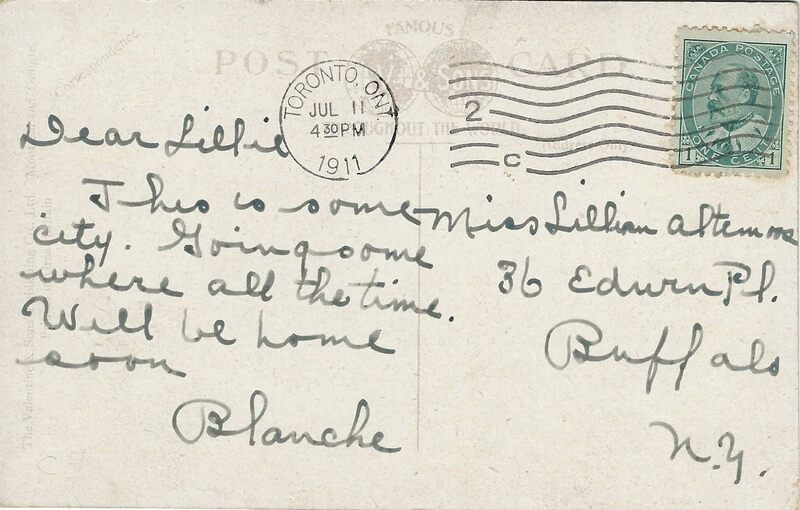 Interacting with other collectors expands their postcard knowledge about things like the impact of postal regulations, the different eras of the postcard craze, types of postcards, early Canadian photographers and publishers, and more. It’s a hobby that inspires more research to interpret the view on a 3-1/2″ x 5″ picture from a century ago. Come to one of our meetings or attend a postcard show and see for yourself what makes vintage postcards such a compelling collecting hobby. Error: Error validating access token: Session has expired on Friday, 12-Apr-19 20:21:58 PDT. The current time is Friday, 19-Apr-19 21:38:15 PDT.